Learn how to make any changes to a previously logged volunteer experience. On the Impact page, scroll down to the table displaying your personal hours. To edit, click the pencil icon to the right of the hours you want to edit. 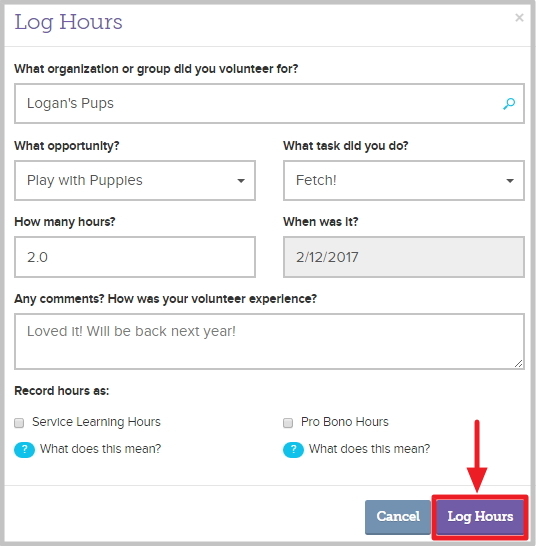 After you click the edit button, a pop up box will appear, where you can edit the information and click “Log Hours” when you’re finished.